This idea that opportunity or status is more important than parental proximity is not, however, just a relic of a bygone era. I recently read about Chinese high-fliers enrolling their three-year olds at boarding kindergartens in Beijing and Shanghai to give them the best start in life. According to BBC News Online, the number of boarding toddlers runs into thousands nationwide. The father of four-year old Kelly Jiang believes that boarding school will make his daughter more independent (you bet!) and will equip her with better life skills. Kelly's parents are part of a new wealthy business elite: her father is an investment consultant, while her mother doesn't work. When asked if he misses his little girl, the father's eyes fill for tears. Which begs the question - why on earth? Brian Moore, the former rugby international, was adopted into a caring family in Yorkshire, but admitted in his autobiography that he could never accept his mother's rejection. Later in his life, he tracked his mother down and listened to the reasons why she felt forced to give him up. He too was an illegitimate child. "You believe it is done for the best of motives because if you think about it the other way, it's so awful," he told The Telegraph in 2010. When I interviewed him the same year, he said he could understand the rationale for his birth mother's decision, but he could never feel the rightness of it, or come to terms with his sense of abandonment. In our more modern times, single mothers are no longer put under such pressure to give up their children. Tragedies like Philomena's case seem - thank goodness - to be an anachronism of the past. Possibly we are also more secure as a society and the need to push our children ruthlessly onwards is less of a priority than it might have been a few decades ago. The recent Pisa tests by the OECD show that a clutch of Asian education systems are certainly more aggressive than ours in the UK, which may partly explain the popularity of boarding kindergartens in China. However, I can't help feeling that none of us should lose sight of child's right to a happy home life. Of course achievement is to be celebrated, but surely not at the expense of a parent's love? 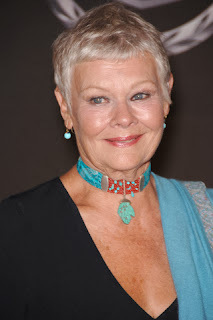 The film, Philomena, starring Judi Dench and Steve Coogan, is based on the 2009 investigative book by former BBC Correspondent Martin Sixsmith, The Lost Child of Philomena Lee.